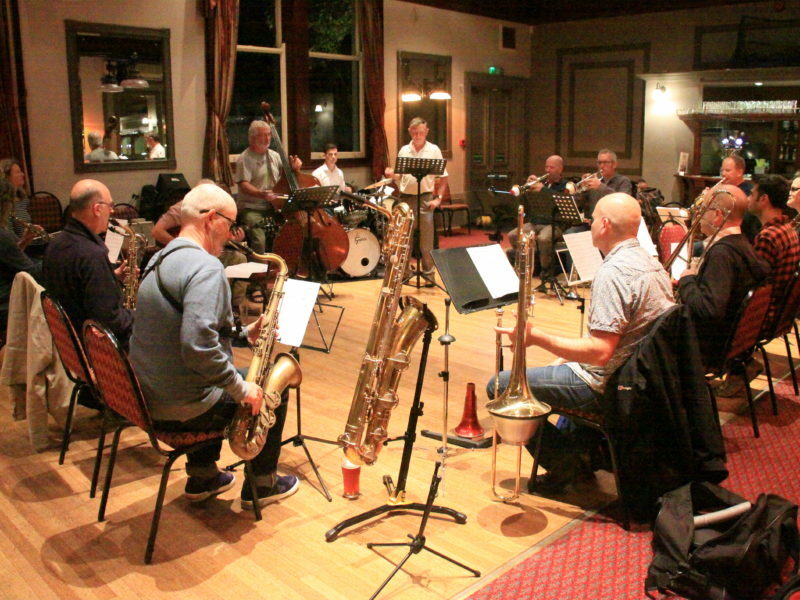 I try to ensure that all the big band gigs in the county are included in the gig lists each month. Unfortunately, some slip through the net. Having heard about it only the evening before, I was able to attend one such gig recently, which had been confirmed only three days before. The Downsbeat Swing Band, with vocalist Jo Kimber in the atrium of the Ropetackle Arts Centre in Shoreham-On-Sea on the afternoon of Saturday 9th March. This band just meets the criteria for mention in this column. It has seven horns, all saxes, and plays from modified big band charts. As well as the standard fare of Basie, Ellington & Nestico, the programme included charts by local composers Hilary Burt and Paul Busby. Solos were shared among the band members. Altogether a swinging afternoon well spent. Now for the public service element of the column. 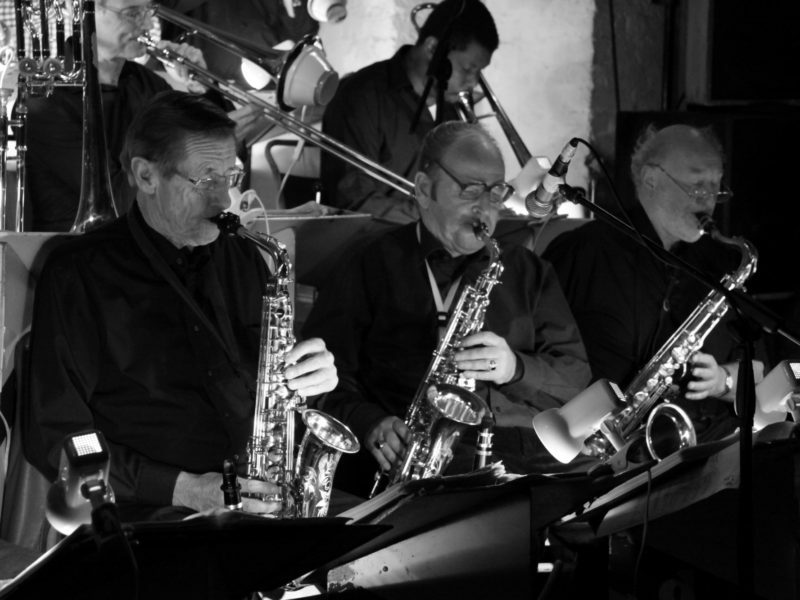 James Dunn is an experienced big band and jazz trumpet player who has recently moved to Brighton. He is looking for a big band/jazz orchestra to play with. If you would like to invite him to join your brass section, his email address is james_dunn1@hotmail.co.uk. There isn’t space for the whole list, so here, in alphabetical order, is the first part. More to follow in later columns as space permits. I’m Gonna Sit Right Down And Write Myself A Letter – in Ab, (arr. Dave Wolpe) – most parts. If you can assist, the preferred format is pdf. Failing that, please photograph the part, and send it to me as a jpg file. If your band’s library appears to be missing any parts which are not on the database, I will add them to this list for publication in a future column. Next month: Hopefully another band profile, and more news about big bands based in, or appearing in, the county. If you would like your band featured, and I have not already contacted you, please get in touch. 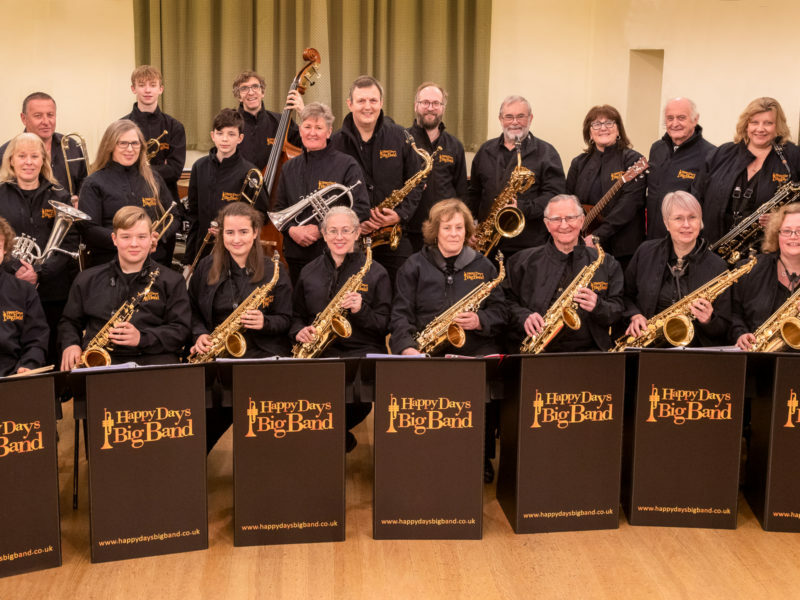 Anything else, such as gig news, or feedback on this column, that you would like me to include in May’s Big Band Scene, please send it to me by Saturday 13th April. My email address is g8aac@yahoo.co.uk.